Sophomore Lindsey Bieber stands next to her artwork, 1931, which took third place at Richter’s 40th Annual Juried Art Show. 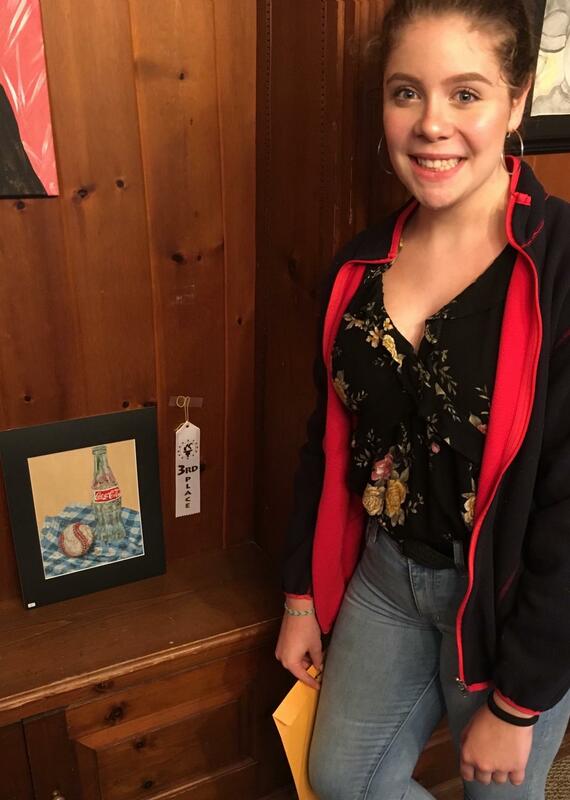 Encouraged by her art teacher, sophomore Lindsey Bieber kind of on a whim entered a juried art show this fall and walked out with a third-place showing and a $1,000 cash prize. Although the work of many experienced artists were on display and in competition, adolescents in Connecticut were also represented. Bieber was one of those teen representatives, winning third place in the “Student” category. She won alongside Summer Vibes, done by second-place winner Lorennah Granfors, and first place-winner Label Love, by Alexa Tannenbaum. Bieber was inspired by her grandfather, who was born in the same year as the title 1931. 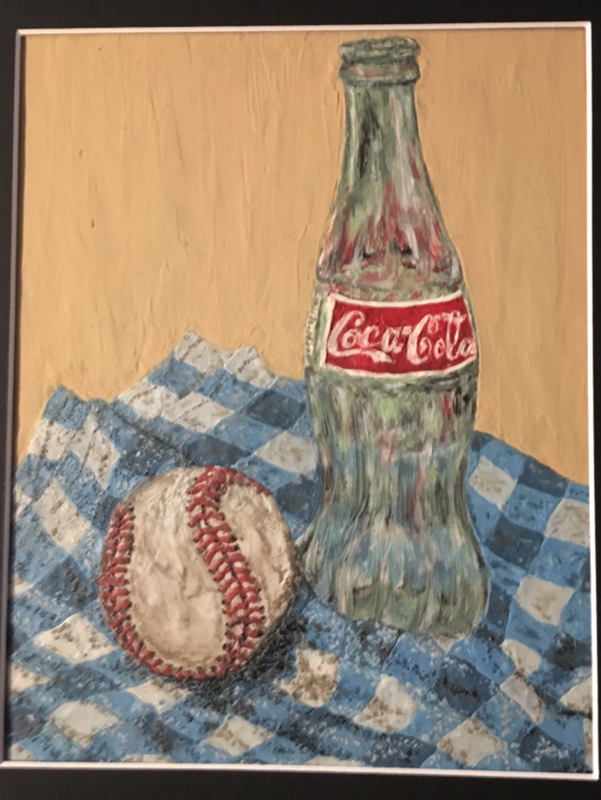 Rather than paint, she used clay to depict a Coca-Cola bottle and a baseball on a picnic blanket. She used a solid-colored background to draw attention to the intricate object textures from the clay. Her process in creating the piece was a method she had just recently discovered. “I used my hands and a toothpick to thinly layer it onto a sheet of cardboard,” Bieber said. The styling, overall, paid off; her piece stood out to the judges. Her disbelief, however, was not shared among her peers. Brianna Kaltchesnee, sophomore and a friend of Bieber’s, knew from the beginning that the work was a winner. “She’s always been really good at art. I honestly wasn’t surprised that she won,” Kaltchesnee said. Bieber’s passion for the arts was exuded throughout the day of the awards ceremony. She noted the ingenuity of other artist renditions, and was excited at the prospect of a similar appreciation for art. When speaking about her future, Bieber aspires to “continue doing art recreationally,” and plans on applying “those fine-motor skills” she has acquired through art to enter the medical occupational field. Presently, however, she is simply excited to have placed well. Bieber’s still life 1931 will continue to be exhibited through October at the Richter Association for the Arts’ Home.